There was some great news this week. That is, if you managed to tear your eyes away from the Play Store in anticipation of the release of Angry Birds Star Wars 2 or the long-awaited Dumb Ways to Die on Android. So in case you missed it, here's the Top 5 News of the Week! One of the best things about Android is the degree of customization that the platform offers its users. At the easy end of the complexity scale, launchers can provide some major customization options to your device. Simply drop a new launcher and customize the way your Android behaves. Two of the most popular launchers for Android right now are Nova and Apex. We put the two side by side to see which one had the best features. With the release of new flagship models from LG and Sony recently, it was only a matter of time before the two of them showed up in a head to head. While both phones offer pretty different highlights, there's certainly plenty of room in which to compare the two. So we put the G2 up against the Z1 to see which handset scored highest in a range of categories. The result, and the responses, may surprise you. Google has done a wonderful job of getting the tech press to talk about the Nexus 5 just as much as the actual phones that were released in the last two weeks. In our thirst for everything new and leaky, we've delivered all the Nexus 5 news we could get our hands on: photos, 3D renders, OS details, hardware specs, manufacturer and release date. In case you missed any of this exciting news, you can catch up right now! When Apple announced the iPhone 5s would be the first smartphone to feature a 64-bit processor, a lot of people had no idea what that actually meant. So we put together a basic introduction to 64-bit architecture and explained what it can do, what it relies on, and what it means for your smartphone, considering it will undoubtedly soon become the standard. Samsung has already announced a 64-bit processor to be nestled in their next range of devices, so you best read up now. We launched a new series last week: Gadget of the Week. 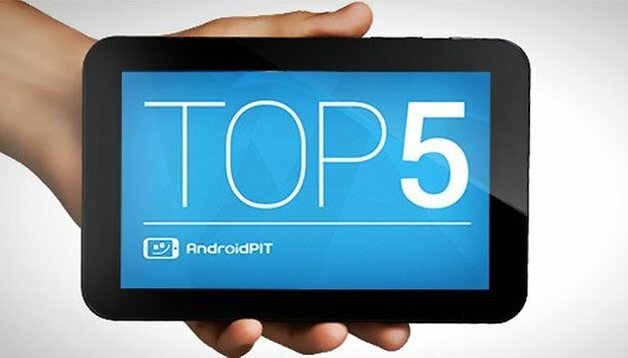 We see an awful lot of great, crazy, debatable, and mind-blowing gadgets here at AndroidPIT and we all have our own personal favorites. Some are just plain weird, some are so powerful they knock our socks off, some are devastatingly simple and others are categorical game-changers. In our first installment we presented the Sony Cyber-shot DSC-QX10, the attachable digital camera lens for any smartphone, because we think it has the potential to revolutionize smartphone photography. What was your favorite news of the week? 64-bit processors for smartphones: what you should know.